Crystal Palace: Hennessey, Ward, Dann, Hangeland, Souare, Jedinak, McArthur, Zaha, Cabaye, Puncheon, Chamakh. Swansea City: Fabianski, Amat, Williams, Grimes, Taylor, Cork, Shelvey, Naughton, Emnes, Barrow, Gomis. It is. Swansea worked hard for that point. I'm off to gather some post-match reaction - thanks for your company. And almost a Swansea winner, as Gylfi Sigurdsson's well-struck free-kick is pushed aside by Wayne Hennessey, who has had next to nothing to do all afternoon. Is that the last chance of a goal gone? So nearly a Palace winner. Wilfried Zaha cuts in from the left and steers a shot towards the far corner. There's a sharp intake of breath around Selhurst Park... but the ball whizzes just beyond the far post. Swansea captain Ashley Williams has been superb this afternoon, and the centre-back is in the right place to intercept as Pape Souare gets down the left to cut the ball back towards the middle. Jordon Mutch seeks a bit of glory for Palace in the closing stages as Patrick Bamford's decoy run opens space ahead of him, but the final shot veers wide of the target. We're up to three efforts on target now, as the action cranks up to a relative frenzy. Patrick Bamford gets a sight of goal as James McArthur's shot runs loose to the substitute off Ashley Williams - it's a poor effort from Bamford really, who strikes straight at Lukasz Fabianski from just 12 yards. A let-off for Swansea. It's McArthur's last contribution, as he is replaced by Jordon Mutch. Swansea respond with a straight swap in defence, as Kyle Bartley comes on for Jordi Amat. Lee Chung-yong has had an eventful Christmas, as Match of the Day's Steve Wilson tells us. "He's just been back to South Korea to attend the birth of his child," Wilson says. "But you know what kids are like - he missed it." Lee, who scored Palace's winner at Stoke nine days ago, is on for Jason Puncheon for the final 20 minutes or so. Gylfi Sigurdsson impressed me when I saw him play for Swansea at Manchester City a couple of weeks ago, and he almost makes an impact here with a low free-kick from the left, causing Palace's defence all manner of worries before Joel Ward sees sense and puts his laces through the ball to clear. Swansea midfielder Ki Sung-yueng receives perhaps the festive period's silliest booking, booting the ball 50 yards after referee Neil Swarbrick gives a free-kick Palace's way. From the resulting set-piece, Patrick Bamford seeks to sneak in for a header at goal, but is shepherded away by Swansea captain Ashley Williams, who has been excellent to this point. "Certainly the neutral will feel more hopeful about seeing a goal now than at any point during the game." Make that two efforts on target. Swansea's Modou Barrow, with the number 58 on his back, ends a positive run in from the right with a shot at goal that Palace keeper Wayne Hennessey has to turn over the bar. A moment that will have woken some of the crowd, if not all of them. Left-back Neil Taylor becomes the first Swansea player to get a yellow card, for dragging back Wilfried Zaha. "The Palace fans will feel that a Swansea yellow card is overdue," suggests Match of the Day commentator Steve Wilson. The resulting free-kick comes to naught, however, and the tally of efforts on target for the afternoon remains at one. Patrick Bamford has made quite an impression since he came on, whipping in a dangerous cross from the left that just fails to pick out a team-mate. Double change for Swansea in the meantime; Gylfi Sigurdsson replaces Marvin Emnes, and Ki Sung-yueng is on for Jonjo Shelvey. They're both straight swaps, which suggests caretaker manager Alan Curtis is happy with his tactics, but needs fresh legs. Yes, an effort on target. At long last. It's gone to Palace - Yohan Cabaye's inswinging free-kick is met by a glancing header from Brede Hangeland, and Lukasz Fabianski reacts well to flip the ball away. Lively start to the second half, this. In the meantime, we've had an effort on target at last. Let me tell you all about it. Palace are out very early for the second half - with the exception of the ineffective Marouane Chamakh, who is replaced by Patrick Bamford. Swansea have now rejoined us too, and we're back under way. No shots on target in that first half. Not one. "You get the impression that Alan Curtis will be the more content of the two managers. Palace started strongly, but Alan Pardew heads for the dressing room with a shake of the head." Yohan Cabaye is not having much fun here. The winger has just gone over Jordi Amat's challenge, and the stand-in centre-back gets a talking to from both the referee and his captain Ashley Williams. "This game has a bit of an 'and finally' feel about it so far." A blow for Palace. Winger Yohan Cabaye is booked for a high challenge on Jack Cork - with whom he had a little contretemps a few moments ago, you might recall. It's Cabaye's fifth booking of the season, and so he will miss next weekens's match against Chelsea. Ouch. Excellent piece of defending by Palace captain Scott Dann, who times his challenge perfectly to dispossess Modou Barrow as he surges in from the right. Lukasz Fabianski is already taking his time over goal-kicks. We have played 29 minutes. I hope this isn't going to be the pattern for the rest of the afternoon, because if it is, I'm going home now. Palace playing the ball around with patience, but Swansea are proving tough to break down at the moment. Wilfried Zaha bursts towards the edge of the Swansea penalty area, before running into a crowd of defenders. At the other end, Jonjo Shelvey plays a smart pass through the centre of the home defence, which is just too far ahead of Marvin Emnes. Nice idea. Referee Neil Swarbrick is having to be on his toes to keep order here. Swansea midfielder Jack Cork fouls Yohan Cabaye to concede a free-kick, then claims to have received an arm in the face in return. Swarbrick effectively tells both players to get over themselves. Wilfried Zaha whips the ball into the near post after working the corner short, but Lukasz Fabianski punches clear. A bit of a confrontation between Swansea centre-back Jordi Amat and Palace winger Wilfried Zaha, after what looked a fairly innocuous challenge. Nothing too serious, though - just a bit of eyeballing and a little shove by Amat on Zaha. All quickly forgotten. Swansea on the defensive early on; a promising burst down the right by Wilfried Zaha comes to nothing, and the visitors are left scrambling to clear after Mile Jedinak's header across goal causes problems. I do wonder, with eight changes, if Swansea's players may need a little bit of time to get used to playing alongside each other. Yannick Bolasie is out for Crystal Palace and he is a massive loss. He is such a good player and supplier, and he is a beast of a man. He's very difficult to stop, he unhinges defences. Swansea's win over West Brom will do them the power of good and they can go and nick a point. They still haven't got a manager but they just needed a game where they got a bit of luck and they did that on Boxing Day. We're off and running at Selhurst Park. Swansea midfielder Jonjo Shelvey: "We needed a win on Saturday. It was important to get three points and we can really kick on. "I don't think we've been playing great football this season, but Curts [caretaker manager Alan Curtis] has got us back to the way we're playing. We had a great performance at Manchester City, but lost that game. It was important to start getting the points. I would take playing rubbish and winning 1-0 all the time. "Palace have got some tremendous players. The signing of Yohan Cabaye speaks volumes for where they want to go." Crystal Palace manager Alan Pardew: "We're a little light at the top of the pitch because of injuries, but I've brought in experience players. "It's been a long wait for Marouane Chamakh this year because he's been injured. We hope we can get half a season out of him." Swansea caretaker-manager Alan Curtis: "We knew the workload that was involved and the fixture programme. It was a tough game on Saturday, and we picked up three or four niggly injuries. A couple of the boys probably needed a rest. It's far more changes that we wanted to make, but I'm sure the boys who come in will do a job. "We've got people who can come on and contribute later on if we need them to. "We could get some momentum with a win. But they flip side of that is that if we lose a couple of games, then perhaps there becomes a more pressing need to get somebody in a little quicker." It's worth pointing out that Swansea's starting line-up contains three players - defender Jordi Amat, midfielder Matt Grimes and striker Marvin Emnes - who have not played a single minute of Premier League football this season. For Swansea, only goalkeeper Lukasz Fabianski, captain Ashley Williams and full-back Neil Taylor remain from the starting line-up that beat West Brom on Saturday. Swansea XI: Fabianski, Amat, Williams, Grimes, Taylor, Cork, Shelvey, Naughton, Emnes, Barrow, Gomis. Subs: Ki, Ayew, Nordfeldt, Montero, Sigurdsson, Bartley, Kingsley. Let's take a look at the line-ups for you. The two Alans, Pardew and Curtis, are making full use of their squads for this one. There are changes galore at Selhurst Park - Crystal Palace have made four, Swansea eight. Marouane Chamakh makes his first start of the season in attack for Palace, having had a long struggle back to fitness following a thigh problem. Crystal Palace XI: Hennessey, Ward, Dann, Hangeland, Souare, Jedinak, McArthur, Zaha, Cabaye, Puncheon, Chamakh. Subs: Speroni, Bamford, Campbell, Lee, Mutch, Ledley, Kelly. "A Complete History of Crystal Palace in Europe - it wouldn't be the longest book. "Back in 1998 under Terry Venables, and as a second-tier club, Palace lost 2-0 home and away to Turkey's Samsunspor in the Intertoto Cup ... and, well, that's it. "European qualification would not flatter Alan Pardew's excellent side - the best Palace team since Wright, Bright, Salako, Pardew and co.
"It's easy to forget that Swansea beat Manchester United in late August - and deservedly so. Their first 11 looks decent, but their squad has been allowed to become almost painfully thin. A new manager must be appointed quickly and given the opportunity to spend in January." 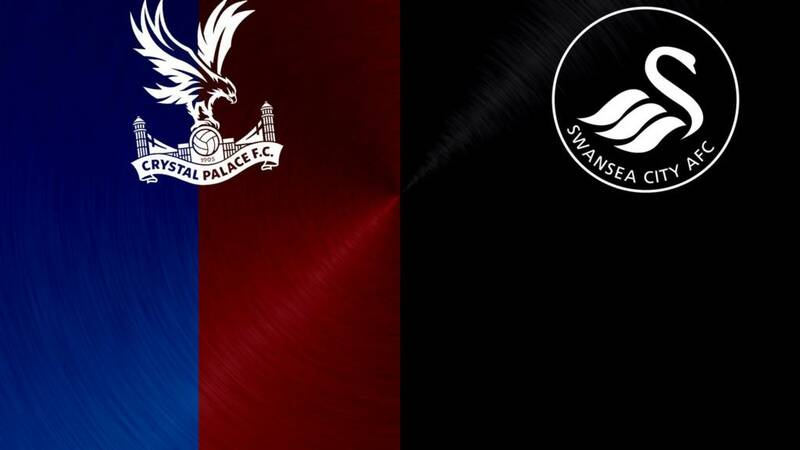 Welcome to our live page for Crystal Palace v Swansea City. We’ll have local radio and live text commentary here from 14:30 GMT. You can keep up to date with all the build-up to today’s games here.